Forex Awards, a Forex-Ratings branch, gives recognition of the Forex brokerage companies by thousands of customers. 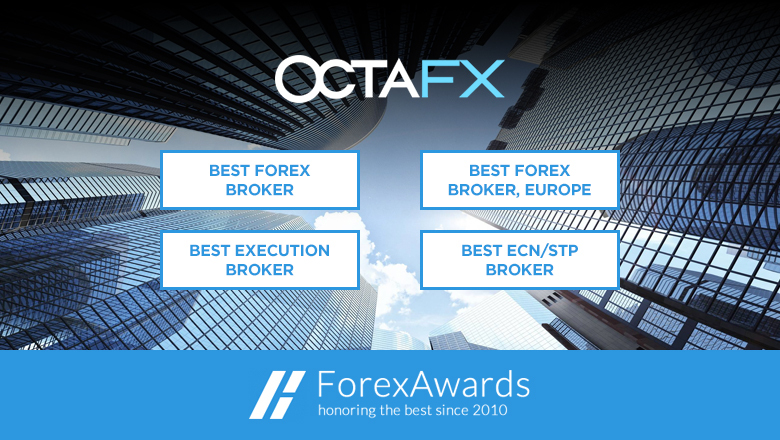 Introduction by Forex-Awards.com means acknowledgment of the highest quality level of services offered by the nominees and winners, and OctaFX company is glad to be represented in four nominations this year! We appreciate your support! Choose OctaFX as your Best Forex Broker 2016!